Tartu Furniture Factory has one of the first to provide and develop the furniture producers traditions and skills. This is one of the reasons why this company's products were very popular in the Soviet Union. Some interesting references are The Kremlin Congress Palace, Uljanovski Memorial Complex and in 1980 the Olympic regatta objects. 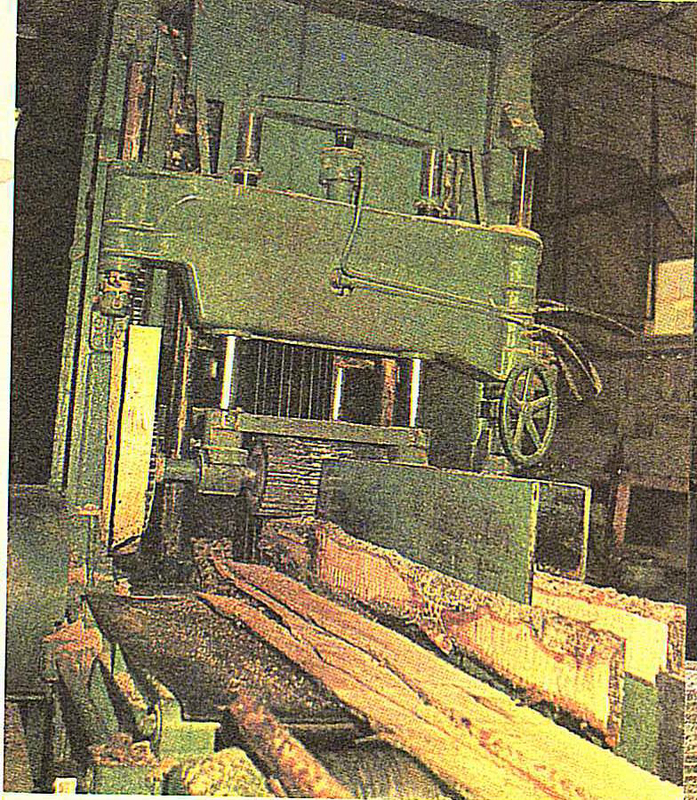 In the Furniture Factory sawmill, the log transport and process was fully automated and the saw frames worked remotely. Step by step the factory moved from manual labour to machine production. The effective job management was very important for the company: the job was easier and faster thanks to different assembly lines. During the Furniture Factory times, the main product categories were furniture, lumber, sets of wooden containers and toys. 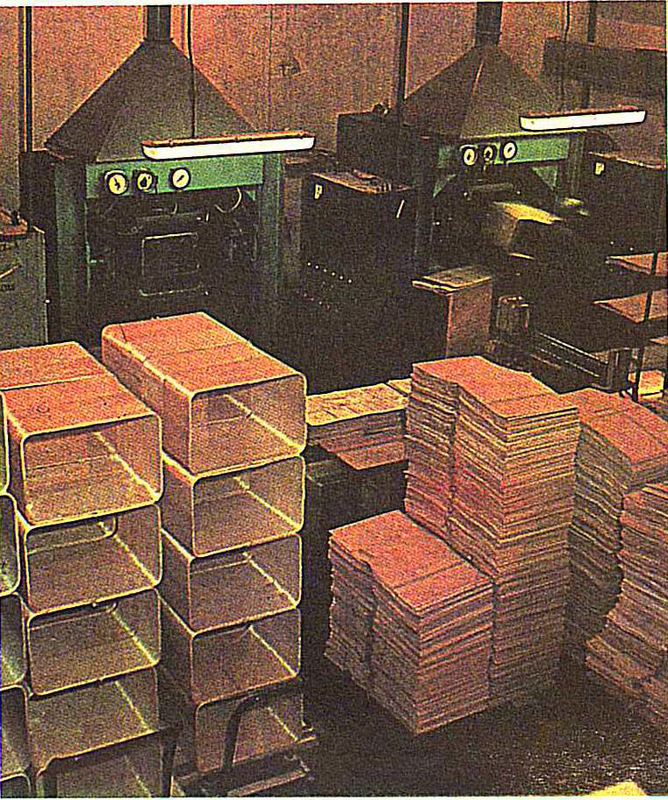 During the Soviet Union times, the factory specialised more on office and cabinet furniture production. Consistently templates for new models were created and the most efficient technology was searched to increase the product selection. Laboratories, these days measurement technique and standardisation services watched over the production technology and helped to improve the quality of the products. The waist was about 10-13% and 90% of it went to the chip production. 18-21% were dust and sawdust, which went to the heating boilers together with inferior chips. 2% was an inevitable technological loss. To conclude the wood was used by 100%. The principles, which were followed by the Furniture Factory days, are still important. How was the nowadays Tarmeko created? In the following list are the most important events in the factory history. 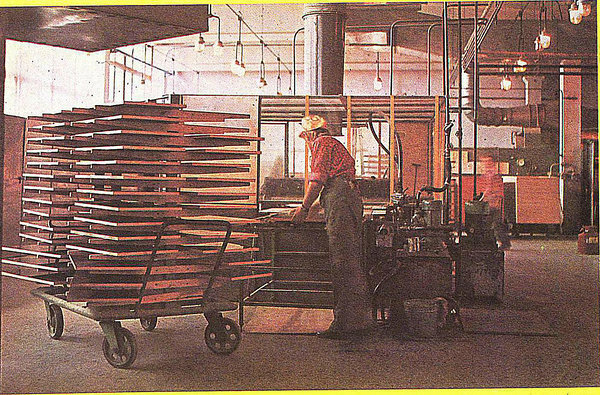 In 1947 to 1956. the artell „Puit“ was active and it was combined into the furniture factory during 1956.–1960. 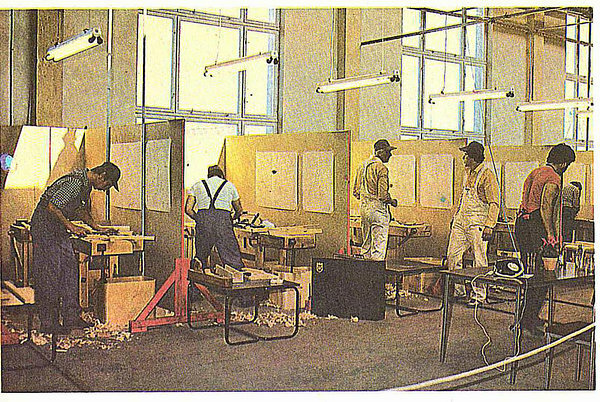 In 1969. the Tartu Furniture Factory was created. 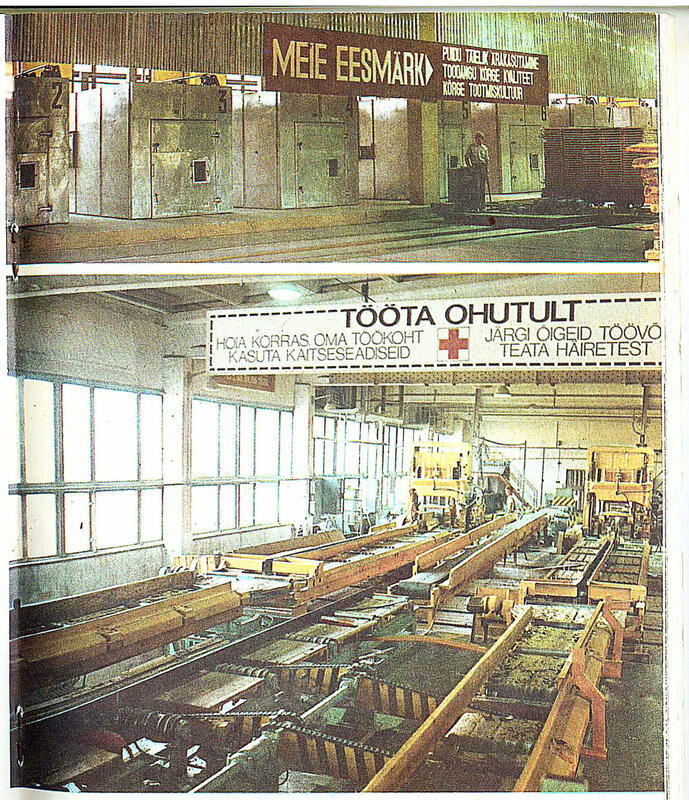 In the late 80s the Tartu Furniture Factory and Forest Factory were united - this is how Tarmeko was created. Later was this company called RAS Tarmeko, which was a government company. In 1992. the company was privatised. In 2005 the Tarmeko factories were made independent. In the Furniture factory were 972 workers of which 385 (40%) were women. A quarter of the production was sold in Estonia, the rest went to the other Soviet republics. The biggest consumers were Moscow ( 2 million rubles), Tallinn (1,5 million) and Leningrad (400000). In Tartu the turnover was about 111000, which is less than in Bakuu, Novosibirsk, Minsk, Moscow Region, Sverdlovsk and Leningrad region. In the early days, one third of the raw material came from abroad (mainly Karjala or Leningrad region), in the year 1986 it was 2/5. 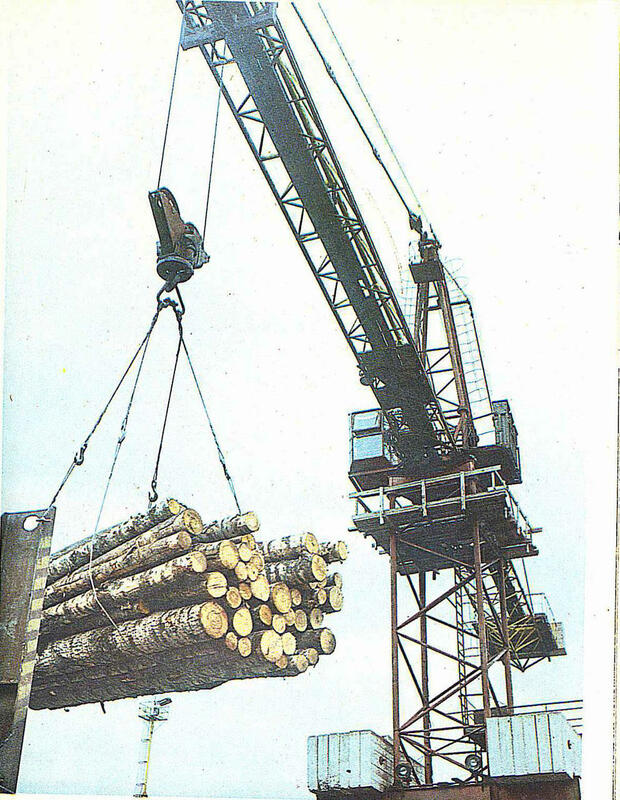 The factory had 33 cars, 23 lifts, 5 cranes and the cars with TMK logo drove yearly about 1 million kilometres. In 2005 five different independent companies were created in the Tarmeko group. Each company is specialised in a certain segment. • TARMEKO PEHMEMÖÖBEL OÜ - while having long-term experience and necessary readyness, Tarmeko Pehmemööbel can make different difficult high quality custom orders. The factory has also their own trademarks, which include a wide selection of deisgn upholstered furniture. Handcraft, quality and long-term endurance are the keywords, which describe Tarmeko Pehmemööbel sofas and armchairs most accurately. • TARMEKO LPD OÜ - the company is specialised in bend plywood component and furniture production. In every day work the production and product development technology improvements and achievements are highly valued, which allows the company to make complete and high-quality solutions. • TARMEKO SPOON AS - the company produces and sells rotary cut veneer and plywood. • TARMEKO METALL OÜ - is the local market leader in producing different fully automated colour and shot peening lines design, installing and startup. The company's key strengths are high quality, versatile skills, flexibility and fast lead times. • TARMEKO KV OÜ - is a company, which deals with real estate management. Tarmeko KV owns the other Tarmeko group factories.